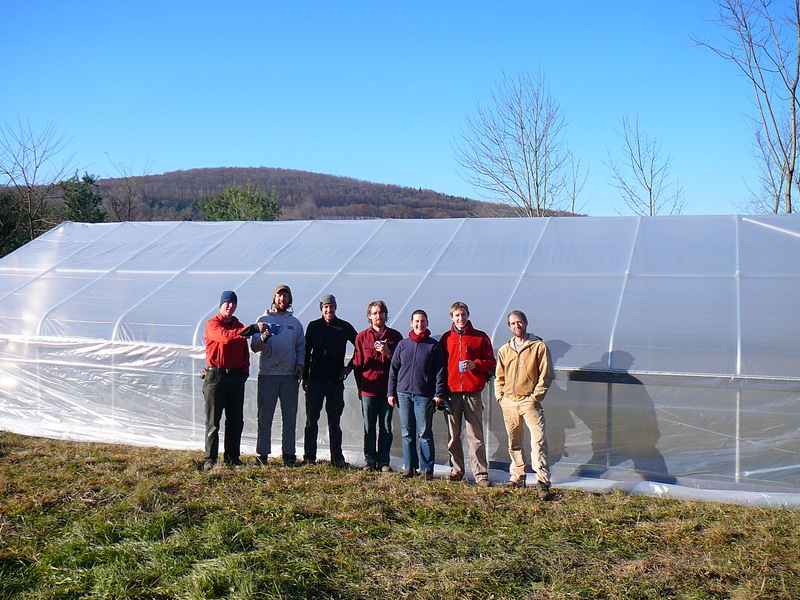 With the passing of Thanksgiving we celebrate the end of our 4th year as Shelterbelt Farm. And so far our best one! With each year we get more infrastructure in place, restore more brush to pasture, and get closer to being able to move into our new home! Hard to believe that when we first started here, the entire property was a thicket, there was no fence, electricity or water, and we had to drive several miles to do chores each day. Now we have 18 acres fenced, a water system over most of the pasture, 3 ponds, a mostly-finished barn with water and electric and a walk-in cooler, a half-finished home, and a brand-new hoophouse! 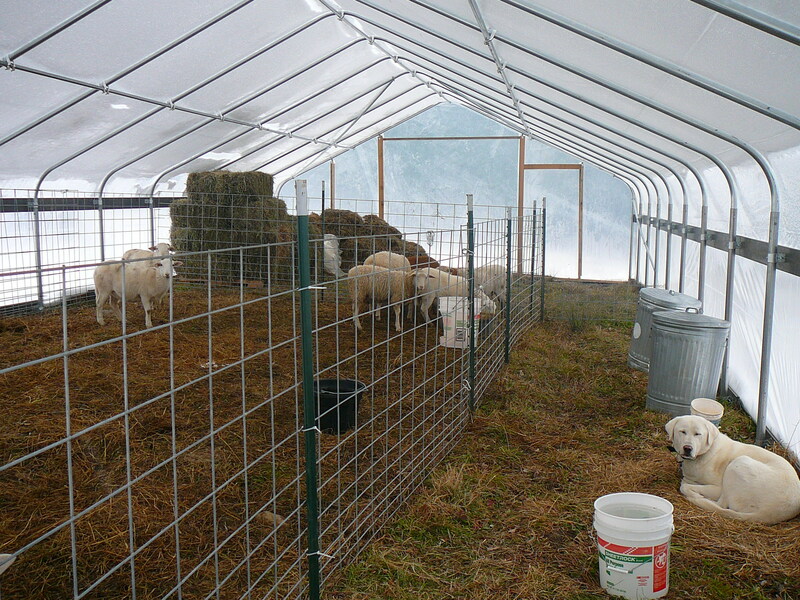 This year we raised 100 turkeys, 10 pigs, 400 lbs of honey, and we acquired our first 10 sheep. We still have a lot of growing and building to do to reach the point where the farm can support one of us full-time. In 2014 we’ll finish our home, expect our first crop of lambs, begin planting fruit trees and gardens, and install swales and another pond for water management. But now, as the first snows blanket our hillside and we stop to catch our breath after the rush of turkey season, we want to express how deeply grateful we feel for the opportunity to pursue this dream of creating a business that nurtures the health of our community, our soils, and our family. Shelterbelt Farm wouldn’t be here without the friends and neighbors who value clean food, animal welfare, and family farms, and without the support of our families who believe in our dream. We are thankful for our many farm mentors who generously share their hard-won wisdom with us. And last but not least, we are grateful to Derrin, our livestock guardian dog, who is lovable and sweet with us but puts on a good enough vicious face to keep all the predators at bay.